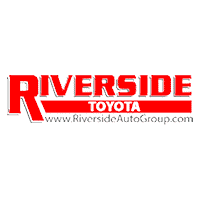 Riverside Toyota in Rome, GA is where we make it easy! If you’re at our dealership to compare vehicles we will be eager to assist you with gathering all of the information you need to make a decision that is best for you. We have popular models like the Tacoma, Tundra, 4Runner, RAV4, Highlander, Camry, Corolla, and Avalon. We know that you have high expectations, and as a car dealer we enjoy the challenge of meeting and exceeding those standards each and every time. Allow us to demonstrate our commitment to excellence! If you don’t see a particular vehicle such as the world-famous Land Cruiser, click on Vehicle Finder and complete the form. We will gladly inform you when a matching car arrives. If you’d like to see a vehicle in person, click on Dealership: Directions for step-by-step driving instructions from Acworth, Cartersville, Dallas or Kennesaw to our site, or give us a call. We look forward to serving you!